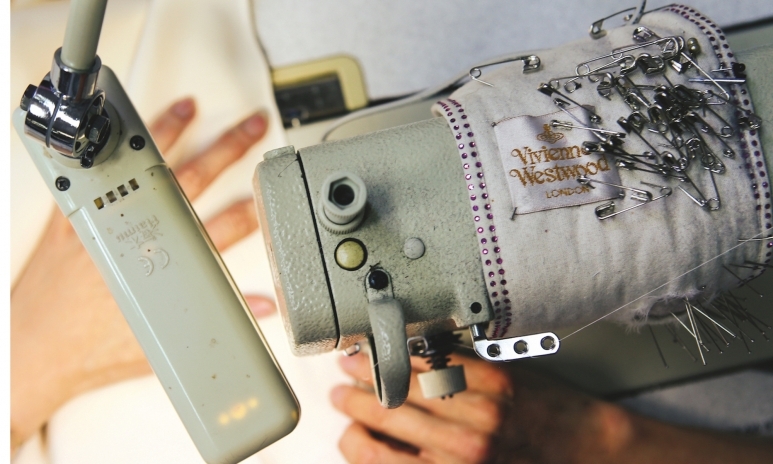 Vivienne Westwood’s show-stopping gowns are intricate masterpieces, with up to 20 couturiers working on each one. A wedding dress must be classic yet modern, daring yet sophisticated and, most of all, timeless. Vivienne Westwood’s cutting-edge designs, with their strong thread of British classicism, tick every box on the dream-dress list. Known for her full and feminine collections, Westwood has been pushing fashion and political boundaries since her designs first filled a shop on King’s Road in London in 1971. The six-month journey of one of her couture gowns, from concept to creation, is arguably just as enchanting as the final product. From the sheer amount of fabric that is required to create her signature billowing skirts to the boned bodices that form the architecture of each corset, there are many minds and hands needed to bring a sketch to life. Westwood currently doesn’t show on the couture runways. Instead, clients are welcomed into the brand’s beautiful flagship boutique on Davies Street in London, where the journey begins. Reminiscent of a Victorian boudoir, with plush furnishings and decadent mirrors, every couture garment that starts here is made by hand for one person, with as many as 20 people working on one dress. From colour variations of existing designs to completely bespoke made-to-measure garments, anything is possible. For brides-to-be, this is the holy grail of wedding dresses. 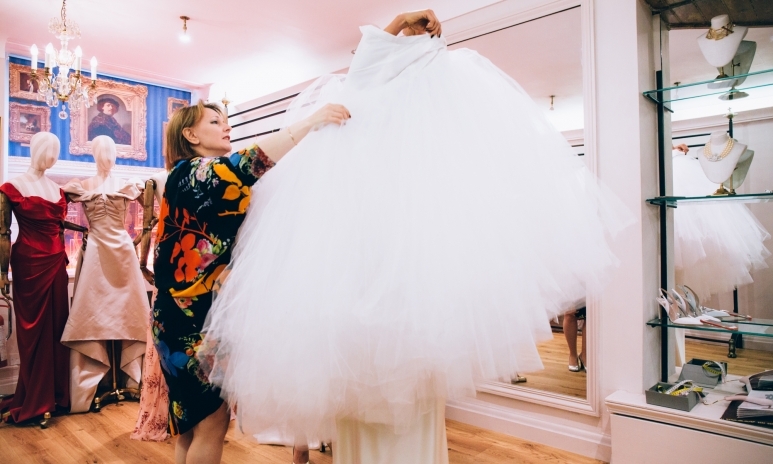 In the lead-up to my wedding day I had fallen in love with Westwood’s Cocotte dress in a creamy white, and the larger-than-life tulle and chiffon Theresa skirt that was originally made in a floral blue and black pattern. Separately, the pieces were stunning; together they formed a perfect shape, creating the illusion of a waistline so tiny it would make a 1950s model envious. 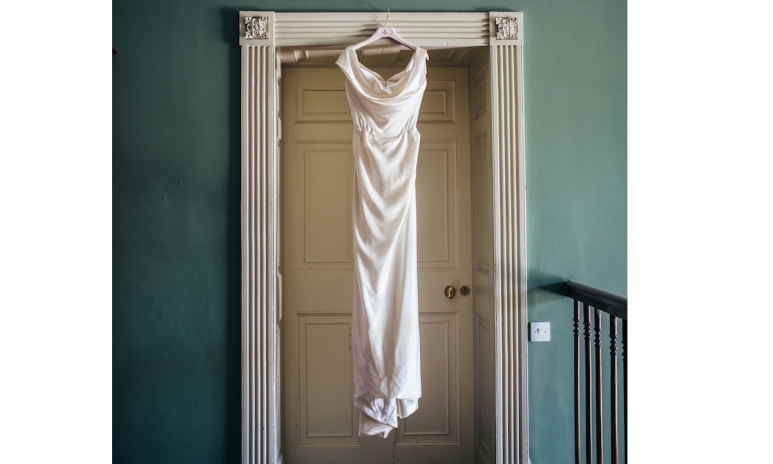 Westwood’s Cocotte dress is a signature piece in both the bespoke bridal wear and Gold Label collections. With a cowl neckline, corseted body, nipped-in waist and carefully draped skirt it is one of her most flattering and famous designs. The couture Theresa skirt layered over the Cocotte gown was first seen on the Paris runway at the Gold Label Spring/Summer 2014 show. 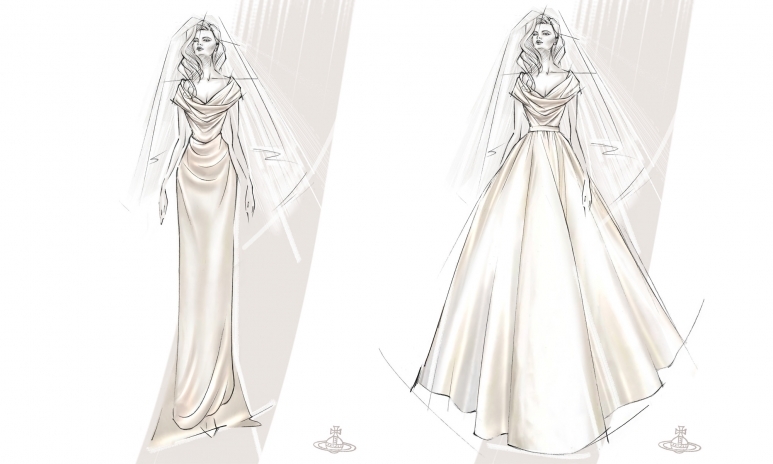 Before my first appointment at Davies Street, the team came up with sketches of an all-white satin take on the look to illustrate the final outcome. The sheer circumference of the Theresa skirt—which hides over 40 metres of fabric under a satin outer layer—was the real show-stopper. The pattern-cutting technique ensures minimal fabric waste, with 12 individual layers of tulle sewn together at the end. The result is a feather-light skirt that contradicts its voluminous and dramatic silhouette. The finished piece, like all of the couture garments, is made in the Battersea studio and then hung to allow the fabric to “drop” before the final fitting, after which it is hemmed. 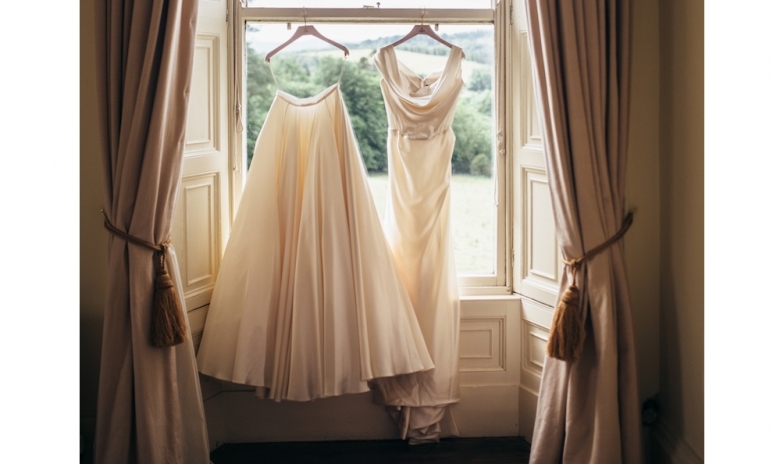 A bespoke dress usually involves three to five appointments over the course of three to six months depending on the intricacy of the work and, especially in the case of brides-to-be, any fluctuations in initial measurements. My Cocotte dress fit like a glove during my first fitting. The boned bodice offered the perfect amount of support for confidence and comfort without being restrictive — a near impossible feat for which Westwood is famous. 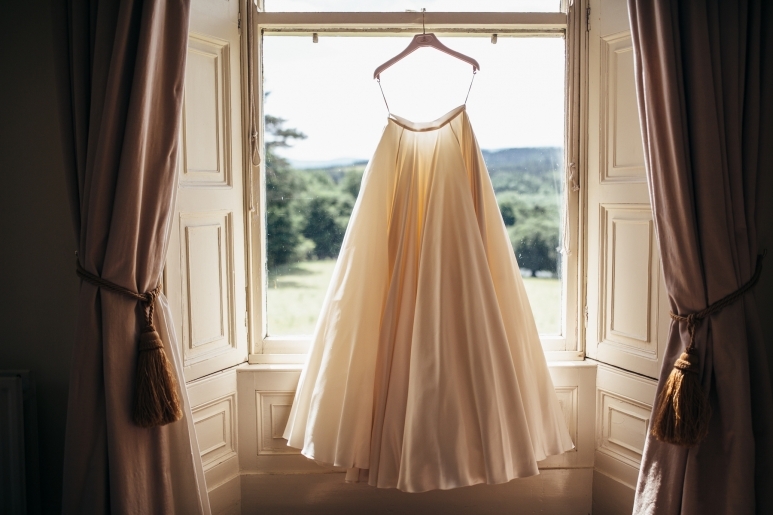 The skirt, being more work of art than skirt, took three fittings to perfect, including a last-minute adjustment to the waist and hem due to pre-wedding nerves and a change of heart over heels versus flats. The end result was even more beautiful than the initial sketch the team, led by Galina Alikhanova and Marie Leck, had presented. 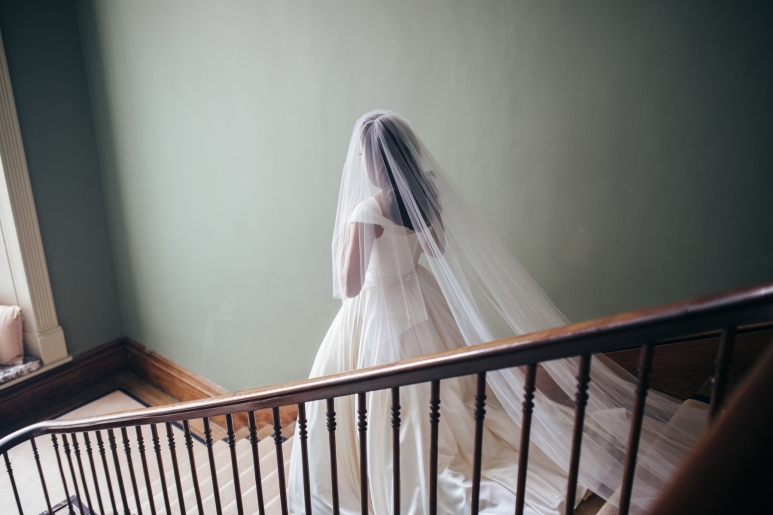 An ethereal made-to-measure veil crafted to complement the dress offered the finishing touch to the overall look. But it wouldn’t be a Vivienne Westwood dress without an element of surprise, and there were two in store for me. First, a small blue ribbon tied in a bow was sewn into the dress to symbolise the “something blue” needed for the day. 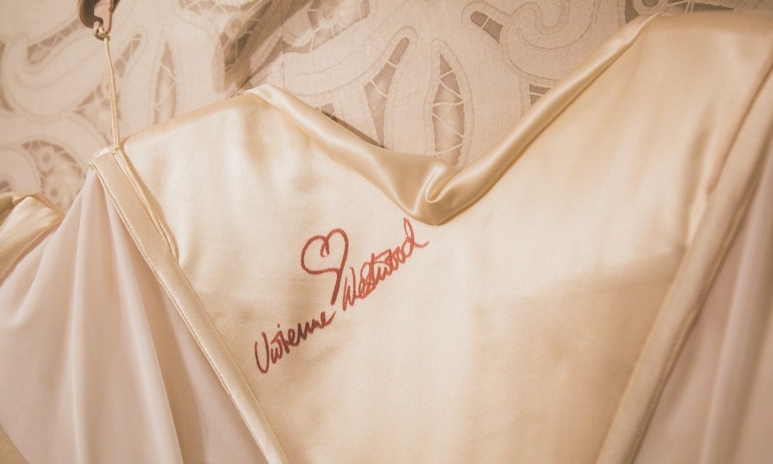 And second, a special note written in beetle-blood burgundy from the dame herself was hiding on the corset, “Love Vivienne Westwood”—a personal touch that made this wedding dress truly one of a kind. This article was originally published on Hong Kong Tatler.